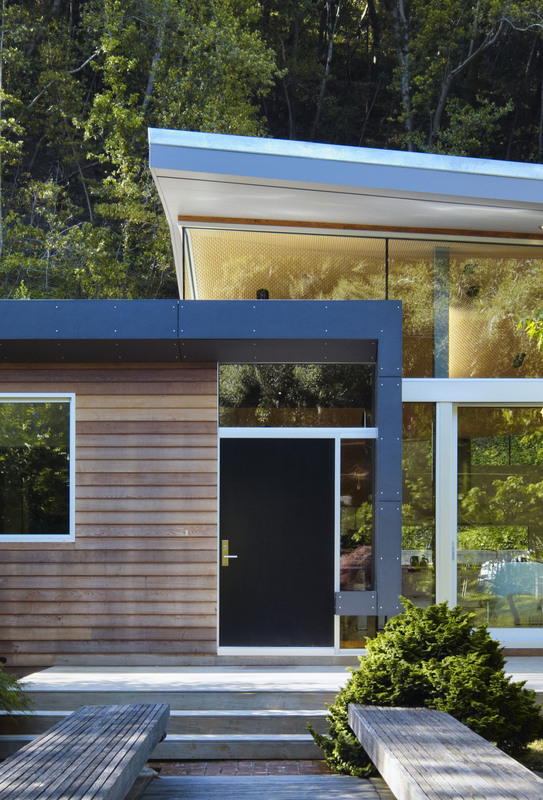 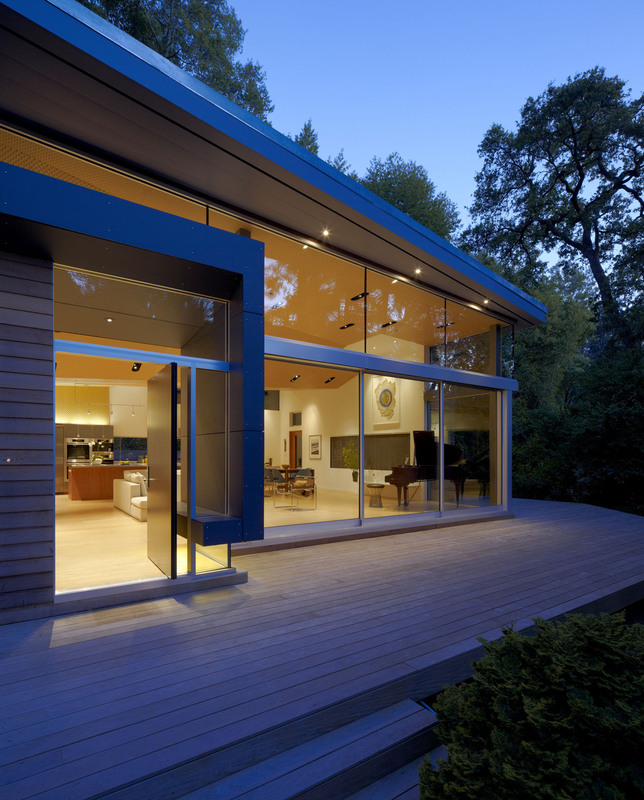 This 3,300 square foot residence resides in a unique community in Marin County and is nestled between a stream and a steep hillside above. 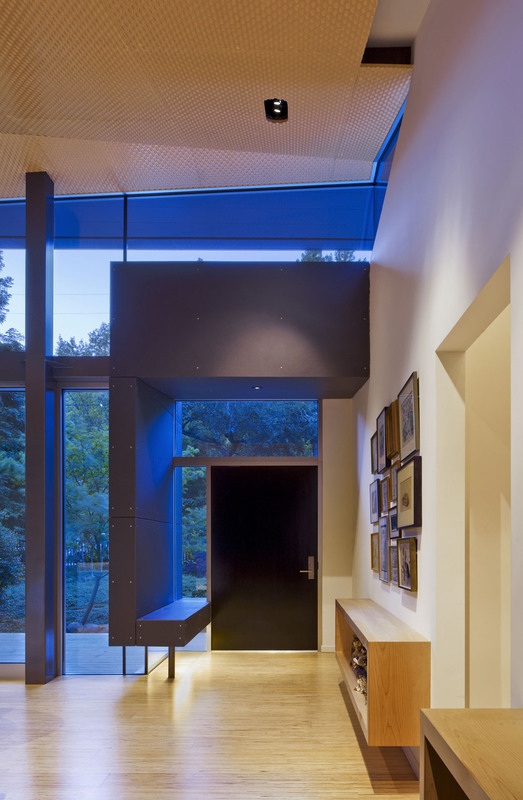 The renovation transforms an existing residence extends and extrudes folded geometries from the existing roof to create a new open living, dining kitchen area with ample wall space for the owner’s art collections. 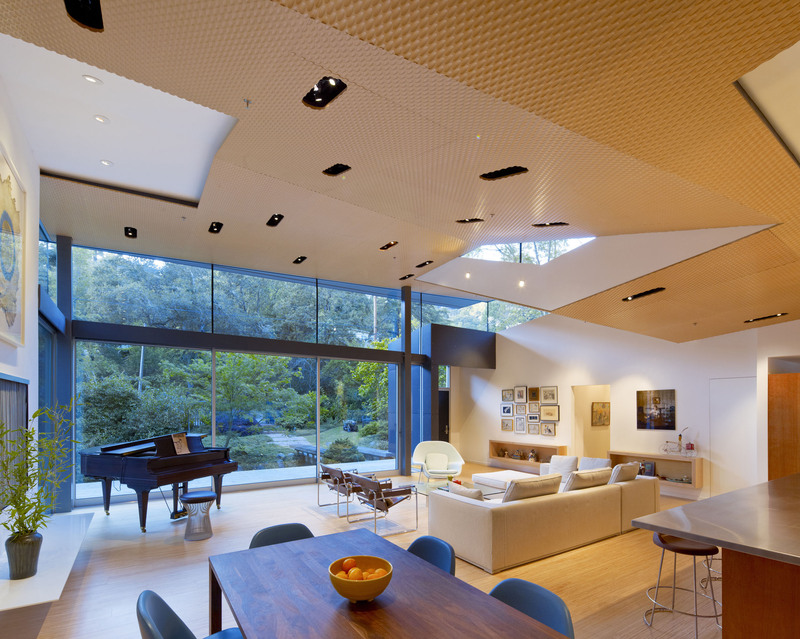 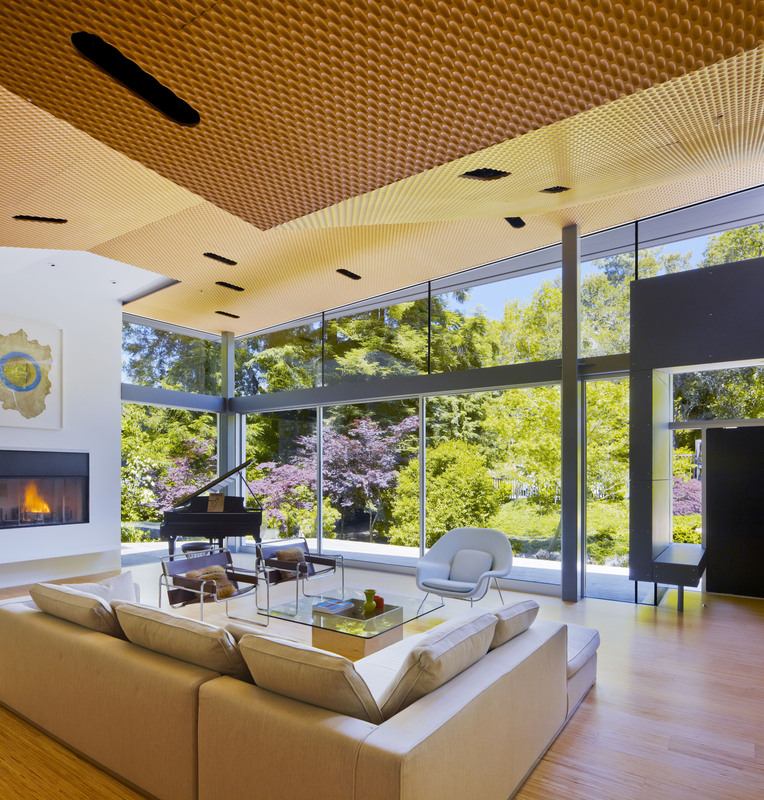 The folded roof splits to bring clearstory light from the east, while creating intimate interior spaces. A new entry made of charcoal concrete board wraps around the foyer and creates a floating bench. 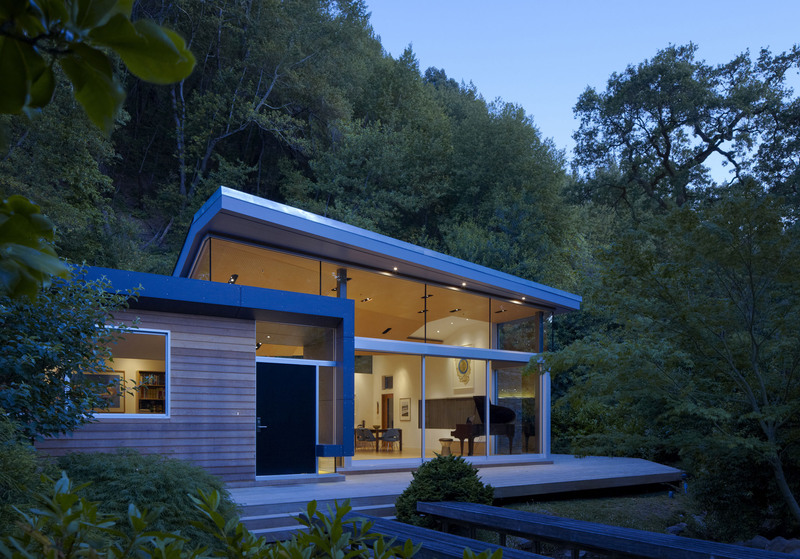 The loft-like living space opens up to a new ipe deck that overlooks the stream below.